FusionCash Review: Can You Make Money with FusionCash? You are here: Home / Extra Money / FusionCash Review: Can You Really Make Money with FusionCash? FusionCash Review: Can You Really Make Money with FusionCash? Can you really make money with FusionCash? I did a little research on the popular money-making website and am happy to report my findings below. Like other sites of their nature, you can start earning right away with FusionCash with their sign-up bonus. To receive a $5 sign-up bonus, after completing registration (which consists of inputting your name, address, date of birth, race, and gender), you have to sign up for an offer such as becoming a mystery shopper, joining a free lotto, joining a survey panel, or taking polls. I signed up for the survey the site, Survey Junkie and my $5 bonus was credited to my account instantly. Repeatable Daily, New, and All. The most popular offers seem to be the ones where you have to sign up for a service or product; such as RewardTV where you play TV trivia games for cash and prizes, and Trial Pay, where you have to complete one or more offers before you can get great deals on products and services. I, of course, headed straight for the No Credit Card Needed tab. There are opportunities to sign up for a Target REDcard that would earn you $2.50, Join Smart Panel where you would have to download and install software on all your mobile devices and PC, and VIP Voice where you can register to win cash prizes for giving your opinions. There were four pages of opportunities, so it's a matter of finding the ones you'd like to participate in. Earnings range from .02 cents up to $3, with most being in the .50 cent range. Is it worth the effort? That's up to you to decide. I calculated that if all offers (that were offered at the time of this writing) were completed, you would earn approximately $34.32, and this doesn't count a few offers that said that the reward varies. There are repeatable daily surveys that can earn you anywhere from .35 cents to $4.00. They include things such as Survey Head which lets you have a say in upcoming products and services and LiveSample Daily that pays you money to take surveys instead of prizes or raffles like most survey companies. How Do You Get Paid with FusionCash? Getting paid from FusionCash is a pretty typical format. You can be paid either through a check, PayPal, or direct deposit, which is great, but you have to reach a $25 threshold before you can cash out, and at least $15 should be from offers and not bonuses. You do however only have 180 days to ask for payment, and if you don't request payment in under that amount of time, it just goes away, and you lose it. What Are Others Saying About FusionCash? I've seen mixed reviews on FusionCash, from people saying that it's a scam, to others who are very happy with their user experience. FusionCash is a BBB accredited business that has an A+ rating. There is no fee to sign up for FusionCash. They offer an active support forum. FusionCash has a 3-star rating on SurveyPolice. They are a Californian-based company. Since their inception, they've paid out over $3 million to members. FusionCash is available to US and Canadian residents. That being said, please read the fine print when you sign up. FusionCash can choose to disable your account at any time, for any reason, and since their surveys are provided under a third-party contract, they are not responsible for non-payment of services. Still, with an A+ BBB rating, it doesn't appear that they've had too many issues reported. 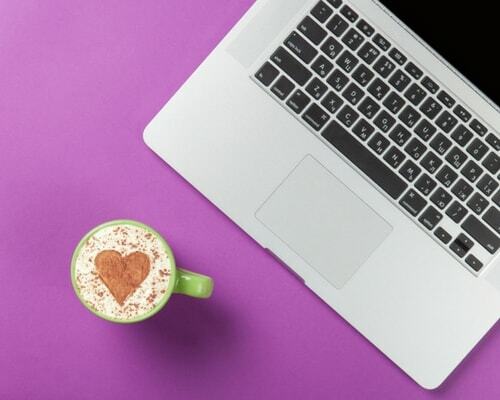 Although FusionCash can help you work from home, it is yet another site that I would recommend exploring in your spare time, and thus not making it a major focus of your work from home goals or income potential. I look at it as something to do when you have time to ‘play' online. Why not play and earn some extra money in the process? 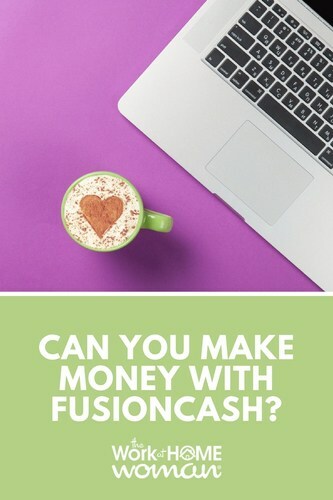 Have you used FusionCash to make extra money? What did you think? Drop us a note; we'd love to hear from you! I am interested please help me how can I register or get started. Do you accept applicant from India ? FusionCash is only available to US and Canadian residents. Do you accept applicant from Philippines?